In great condition and ready for your family! 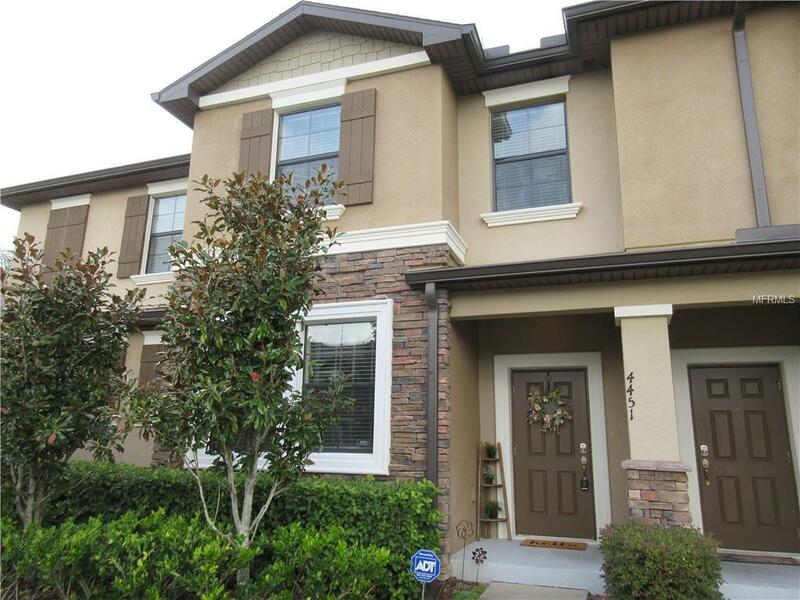 This townhome is located in the gated community of Meadow Pointe in Wesley Chapel. The features include a fully equipped kitchen with granite counter tops, stainless steel appliances and beautiful wood cabinets. The Kitchen also has a granite topped island perfect for family entertaining and gatherings. This design is open and spacious and the ceramic tile is a plus for high traffic areas. All the bedrooms are upstairs along with the laundry area. The washer and dryer are included in the sale! This townhome is a great starter home for the growing, busy family. Relax on the oversized screened patio and overlook the pond located in the rear of the home. You won't have to worry about Exterior maintenance or lawncare because the HOA covers it all. Also included is a huge clubhouse equipped with gym and pool. There is also a basketball court, tennis courts and a volleyball area. Its all included! Call today to see this wonderful townhome before its gone! Additional Lease Restrictions Buyer Should Verify All Leasing Restrictions If Any With The Meadow Pointe IV Home Owners Association. Pet Restrictions Buyer Should Verify All Pet And Pet Restrictions If Any With The Meadow Pointe IV Home Owners Association.